This article has been amended from an earlier version published 11 February 2019. As the Internet of Things continues to go mainstream throughout Australia, it's predicted to morph into an industry worth more than $4.7 billion – and developers are looking at ways to integrate their properties into this ballooning industry by providing access to the nbn™ broadband access network. Australians have adopted the use of technology at an astounding rate – with research showing that the average Australian household will have more than 30 connected devices by 2021 – and as this trend continues, residential and commercial developers need to focus on creating spaces that facilitate this unprecedented trend. The largest broadband network in Australia that developers can integrate into their projects is the nbn™ access network, which currently provides a high-speed network capable of supporting more than 8-million homes and businesses. Since 2011, the nbn New Developments team has been working closely with developers to help them meet consumer needs and to bring “nbn™ ready” homes to market. With more than 620,000 new premises ready to connect and an additional 400,000 new premises activated, developers that capitalise on the nbn™ access network are creating future-proofed developments that are built to not only accommodate the predicted growth in technology use, but to support future residents as they seek to do and experience more from the comfort of their own homes. While creating an nbn™ ready development acts as a unique way to attract potential buyers, another reason developers around the country are choosing to deliver them is the ability to capitalise on the collaboration and marketing opportunities that arise from working with a recognisable brand. nbn acts as a ‘one-stop-shop’ for the design, install and certification of nbn™ infrastructure in new developments – reducing risk and minimising delays. By working closely with each developer and creating tailor-made solutions, nbn helps ensure the efficient and timely connection of the nbn™ access network for each project, which nbn manages and maintains for the life of the development. nbn also works to high level standards of service that help ensure any faults or ongoing maintenance requirements are resolved without issue – adding tangible value to each development. nbn is an open access network available for new developments across Australia which means that residents can engage their choice of many available phone and internet providers. This allows residents to choose the right provider for their needs, and creates another unique selling point for the development. If the nbn™ access network is affected in an emergency, priority will be given to reconnecting essential services, such as hospitals, fire, police and emergency services, traffic management, sewerage, power and water utilities to ensure that disruption to day-to-day life is kept to a minimum. nbn has committed to support providers who give priority assistance services to customers with diagnosed life-threatening medical conditions, aiming to provide the same connection and fault rectification times that customers registered for priority assistance currently receive. The nbn team are consistently working to ensure the network is as resilient as possible. As smart communities continue to grow in Australia, they bring with them exciting new technological solutions that enhance the way we live – something that is only achievable through the use of a fast, reliable broadband network like the nbn™ access network. 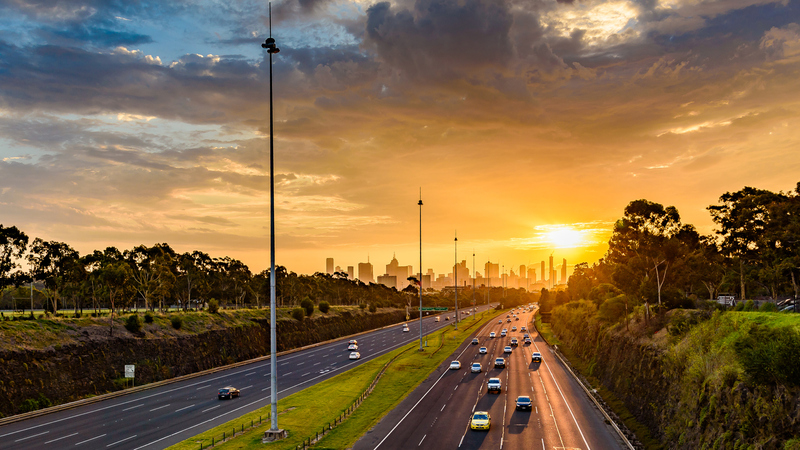 Australia is at a tipping point, with national access to high-speed connectivity opening up an array of possibilities for economic prosperity and social benefit. We are in the midst of witnessing technological advances at extreme pace, and it is having a profound impact on how we live, plan and build cities. As seen in the Connecting Australia Report (commissioned by nbn), the nbn™ access network is contributing to the growth of our economy, creating more jobs in emerging industries, as well as further enabling entrepreneurship and the ability to work from home. By installing nbn™ technology in a development, a developer and the project’s future residents can gain a world of smart home possibilities – smart lighting, security, heating and cooling and more – offering cost and energy savings, improved service delivery, better quality of life and a reduced environmental footprint. Future-proofed projects that are connected to the nbn™ access network are paving the way for budding smart communities across the country, all while supporting innovation and the global economy. For more information on how you can get your development nbn™ ready, see the nbn™ website. The Urban Developer is proud to partner with nbn™ to deliver this article to you. In doing so, we can continue to publish our free daily news, information, insights and opinion to you, our valued readers.